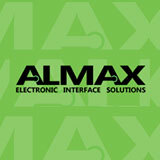 Lasers are becoming more and more commonplace in the membrane switch industry. I am fortunate to spend a great deal of my time traveling and talking to people in the industry selling and installing pick and place machines for placement of LED’s, domes and dispensing adhesives. During the course of a week of installation I always have an opportunity to spend some time talking about Lasers. About what the users like and dislike. Before I go into detail about my findings I would like to give a quick review of the average laser offering into our market, the design of the equipment, and why it was made that way. Formica or hardboard on low-end systems, Honeycomb on more expensive machines. CO2 lasers are extensively used because of their low initial and operational costs. Furthermore, most materials used in our market have high absorption properties for the wavelength of the CO2 lasers which result in good quality cuts. For the most part, all machines contain these items. I have excluded Galvo cutting heads from the list but can assure you the following arguments will apply to these machines as well. Of all the commonalities, the most critical element is the ability to maintain focus of the Laser beam relative to the cutting table base. The position at which the beam converges to its smallest point is paramount to a good cut quality, and also dramatically affects the surface finish of printed graphic overlays. Likewise, the accuracy of the cut can be under or oversized if this position is not maintained. It is for this reason the relatively stable hard Formica and honeycomb bases are used. What do we use our Lasers for? 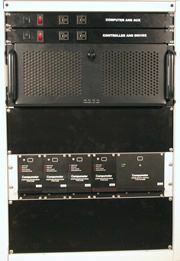 During the development of our first Laser (FlexLaser) we decided to look at the competitors offering and combine what we saw in the others machines to come up with a better machine at a more affordable price. Furthermore we added true X, Y, Rotational and 2 axis stretch registration by using digital imaging technology. This dramatically enhanced the ease of operation and precise cutting of high accuracy applications like Ziff connectors. To that end I think our approach was very successful. In addition, we undertook another challenge to improve efficiency. Wherever I travel I see laser cutting tables being cleaned with either a brush or vacuum cleaner to remove the cutting debris before being able to cut the next sheet. It seems that this process can take as much time as the cutting process itself. In most cases we can expect to loose as much as 50% of our cutting time due to process clean up. Let’s take a look at three major assemblies as they pertain to laser cutting, and examine their contribution to cleanup, the cycle time, and the accuracy required. The three major assemblies that we will examine are Ink Layers, Spacers, and Graphic overlays. From what I have seen in the membrane switch industry is that ink layers are very rarely cut on the laser individually. Usually they are laminated to a spacer panel (multiple spacers) that corresponds to a multiple up printed sheet. 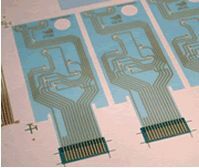 The panel is cut into individual pieces after which the parts are assembled with connectors, LED’s, domes, and finally graphic overlays to finish the product. 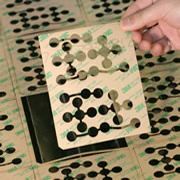 As a semi?completed part or a final assembly, ink layers contribute little time to the laser cutting process, and the waste they generate is a perimeter cut typically with few or no holes. The cleanup time for this assembly is short. Like ink layers these parts are usually cut into individual pieces from a multiple print sheet or cut as part of a final laminated assembly. In either case it is a perimeter cut that generates very little waste for cleanup after the cutting cycle. I think by now you are well aware of what I am eluding to. When you reflect on it, spacers have the bulk of the interior cuts within the membrane and therefore it makes sense that these parts use up most of the production capacity of a Laser. Additionally they are usually cut on their own before being included as part of a subassembly or final assembly. In a survey completed by 6 manufacturers of membrane switch assemblies the average use of the laser was 80-85% to cut spacer materials. This problem is compounded when you consider that the waste material that is left on the cutting bed represents small pieces and more often than not hundreds of them. These “slugs” must be removed, usually with a vacuum. When you look at the case of ink or Graphic layers, these are perimeter cuts that are large and easy to clean. The process of cleaning spacer “slugs” from the cutting table can, in some cases, represent as much time as the cutting cycle itself. Spacer Materials are typically flat and have a release liner on one or both sides that makes them stiffer. For this reason we can increase the distance between the areas of support. Small fluctuations in flatness will not significantly affect the position and size of the holes cut. We measured a variation of ±0.003” Maximum. 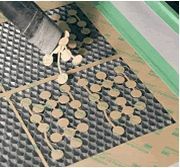 Release liners act like masking layers similar to those used on polycarbonates and other typically hard to cut materials to improve cut quality. Additionally these parts are sandwiched between two layers so that even minor blemishes will not be noticeable. Spacer cut on a standard honeycomb table. Note the amount of slug residual. 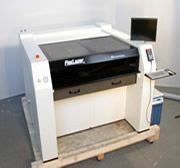 To turn this concept into a viable production tool, Automation Alternatives developed their second generation of laser cutting system, FlexLaser II. We incorporated two table types for this machine that can be quickly changed over to meet your cutting requirements. The first is the new design, explained earlier, with support elements that can be placed as close as ½ inch apart or removed to create larger unsupported areas for larger cutouts. This VANE system allows the cut “slugs” to be extracted to a collection tray below. The second table is an add-on traditional honeycomb base that can be easily put on the main table whenever you need a honeycomb to cut thin materials. This base will ensure optimum cut quality on hard to cut materials such as thin Polycarbonates or Polyimide. The result of a cut with the VANE table is a spacer that is free of all slugs, or more importantly, a work table that is free of all debris so that a new part can be immediately placed onto the work table to resume the cutting process. 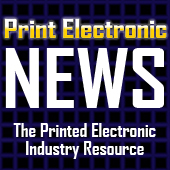 These three offerings will permit large print formats. The two largest formats can hold full size sheets of standard spacer stock without requiring a shearing operation to prepare the material. Our new system has an enhanced beam conditioning system that produces a beam much smaller in diameter than our competitors’. The advantages are two fold. Firstly, the thermal effect is significantly reduced. This means that traditional hard to cut materials can now be cut with better surface finish and edge quality. 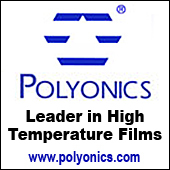 Polycarbonates and polyimides can be cut with much greater ease, without requiring a pre-mask. Secondly, the greater beam concentration means that a 100 Watt CO2 laser for instance, can now cut materials that previously required a 150 or 200 watt system. Our new table formats allow the user to place standard stock sizes of spacer material onto the cutting bed. A new software program function allows for multiple files to be formatted for production at each time. By utilizing this feature your production management team can increase the utilization of spacer stock. An additional benefit is that raw stock need not be prepared on a shear to a production stock size and therefore, off cuts become a thing of the past. 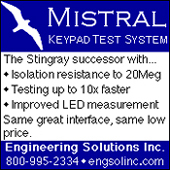 We manufacture our positioning systems and utilize lead screws and zero backlash nuts. 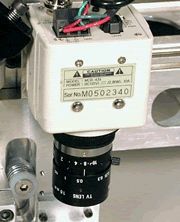 We would not trust a drive belt on our machining equipment, nor would we trust it for your laser. 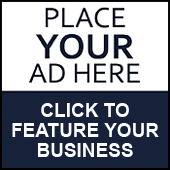 These systems provide ultimate accuracy and years of trouble free service. 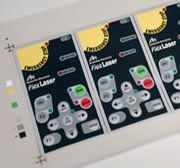 Like our previous Laser offering, FlexLaser II maintains the same vision system that made our FlexLaser system so popular. Our vision system will correct for X, Y, Rotational and two axes’ of stretch miss-alignment. Most vision systems offered by the competition correct for an average error across two points. If miss-registration is large on these machines then average error will also be large. The result is a dimensionally inaccurate part. This will never occur with FlexLaser II. Our system will automatically correct for miss-registration within a 2 inch square vision search window. This not only makes the operator’s job easier as guide registration need never be accurate but also guarantees cut accuracy to your drawing specification. We feel that vision is essential to the operation of a Laser and therefore we offer vision and all the features listed in this article as standard on all our Laser systems. The new design completely shields operators from the cutting beam. The cutting fumes are also contained under this same hood so that all stray toxins are not released into the production area. The machines have an enhanced redundant safety system that meets the most stringent industries standards. This will assure a safe working environment for your staff. By providing very high resolution for the motion, we ensure that all angles, curves and arcs are smoothly and nicely cut regardless of size, shape or cutting speed. 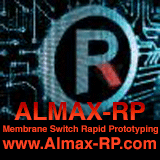 Our Software has been designed specifically for the membrane switch user. 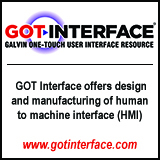 Our interface will readily convert files designed in graphic environments (AI) or DXF. 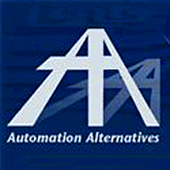 Most conversions are automatic with minimal or no changes to the source file. Additionally, Speed and power output can be varied anywhere on the cutting path. This enables varying thicknesses and multiple stack-ups of different materials to be cut with optimum parameters. Our machines continue to out sell our major competition by as much as half on selling price. Please consider that we are also not competing in the entry level or prototyping equipment. This bottom segment of the market is served well by belt driven plotter based systems. We produce machine tools that are designed to last with the highest attainable accuracy while also providing simplicity and ease of use.